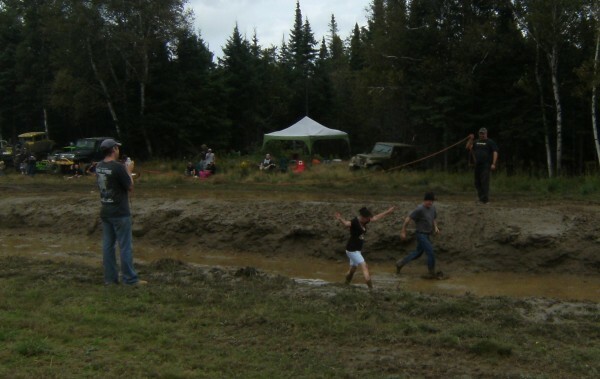 The mud bog is serious business, and folks are out to win and to entertain. 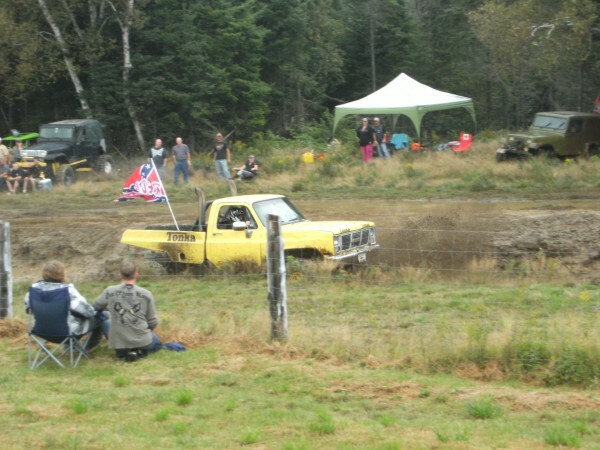 One of the more interesting entrants was this truck: flying a “Redneck” Confederate battle flag, and painted with the Tonka logo. It was indeed fast, the fellow driving it looked like he was having a good time, and it was a favourite with the crowd, most of whom definitely qualified as rednecks. But it left me wondering about the strange mashup of cultural icons from the American south (and the flag’s resurgence as statement of racism thinly veiled as conservatism), television, and childhood that make up this slice of self-representation in the Canadian north. 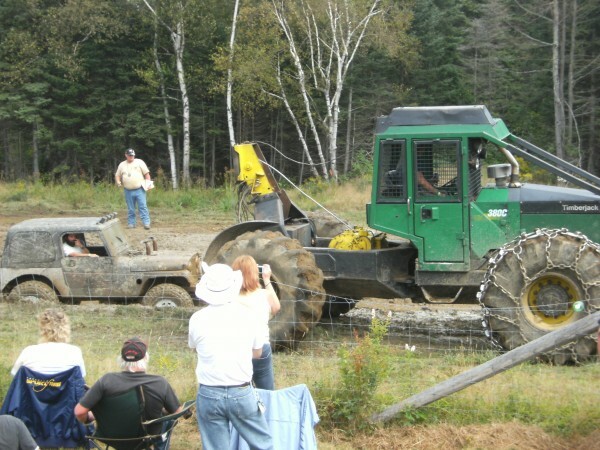 And have to be pulled out by the giant skidder, a much larger version of the tractor for pulling logs that the loggers had raced the day before. From what was swinging and flopping around under this truck as they pulled it out, it looked like it had either hit a rock or just gotten so swamped in muck that the drive shaft snapped. 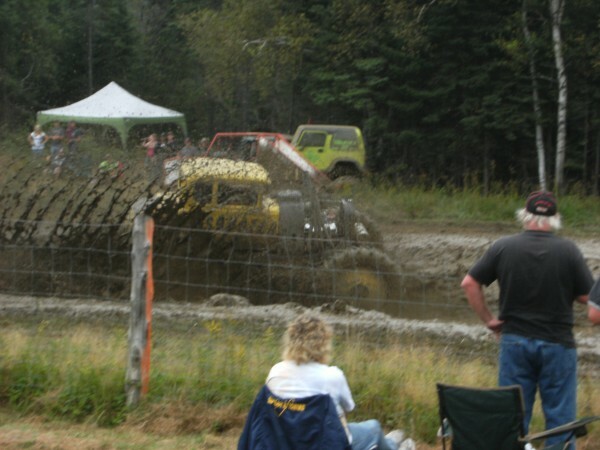 Adapt right, and you get freaky technological beasts, like “The Sasquatch”: a 4 wheel drive tractor, once, now with an engine pulled from an old truck, and the body of a 30s Ford coupe thrown on top. Another, less troubling, mashup from the “Redneck” team. So that, I suppose, is what you do when you’re way up north and there’s no labour march for labour day. 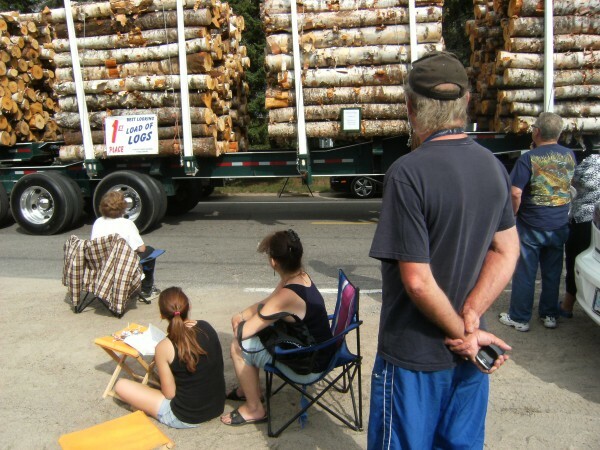 That, and look at the 1st place winning load of logs in the parade, of course.